Kel Boon was once an agent of the land’s most secret organisation, tracking and eliminating the Strangers from beyond Noreela. But then one horrifying encounter left his superior officer–and lover–dead, along with many innocents. Kel has been running ever since, hiding out as a simple wood-carver in the fishing village of Pavmouth Breaks. When when a mysterious island appears during a cataclysmic storm, sending tidal waves to smash the village, his training tells him to expect the worst. How can he warn the surviving villagers that the visitors may not be the peace-loving pilgrims they claim to be? That this might be the invasion he has long feared … and that he may be Noreela’s last chance? I recently read Delolation and loved it. It was so different then what I usually read from Leisure books. I’m going to read the FAce next. Do you have any other books coming out from Leisure Books. Hope so. That Hellboy Novel looks good. Take care, Ken. Hi Ken … glad you liked Desolation! No plans for any more Leisure books at the moment. But Night Shade should be releasing a new horror novel from me soon called BAR NONE (check out the Forthcoming Books box on the right). According to Amazon Canada [at this here link] there is going to be a hard-cover version from A&B in June of this year, and only a fortnight after the tradepaper version comes out. Any truth to that, or is it another balls-up in their data-base? Ian, it’s true. I’ll announce it ‘properly’ on the site tomorrow, but yep, A&B are doing this one too. Asolutly loved Dusk, Dawn, and Fallen!!! 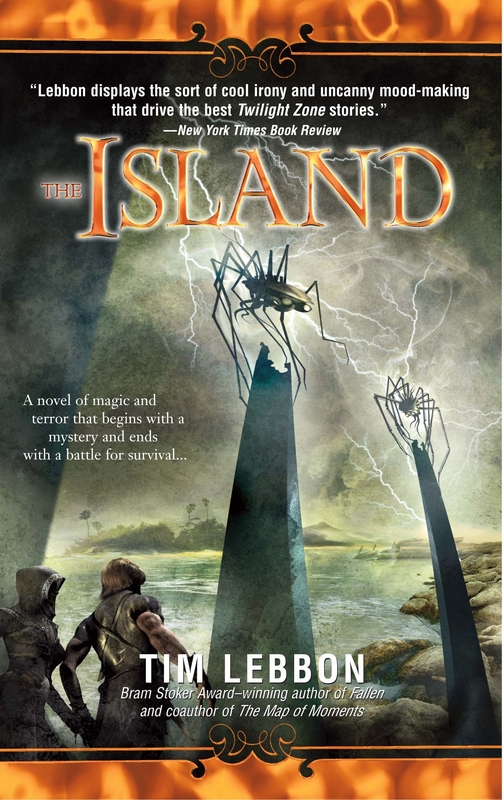 cant wait to pick up a copy of The Island!!!! Thanks Kenny! So you’re the one! Please do spread the word, and let me know what you think of THE ISLAND. What do you mean im the one?? And yes i am spreading the word!! I got a couple of people interested in Dusk, just got to get them to buy it now lol! So, I was wondering if noreela.com is going to get more updated for Dawn, Fallen, and The Island? Kenny, I should definitely work on that. We shall see. 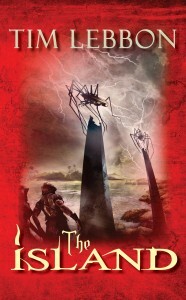 Is there going to be a follow up to The Island, loved it. Mr. Lebbon, will there be more books in the Noreela Universe? I love the Noreela books….I tried to go to the website but kept getting error messages, is it no longer running? James, I’m afraid that site is no more. However …….. there will be something Noreela-related coming soon. Watch my site for details! Found your book Dawn in a library sale for 50 cents. Read it in 2 days. Amazing story telling!The only fault I can find is with myself in not knowing your work before hand and reading things out of order. So now off to find a copy of Dusk and every other Noreela book I can get my hands on! Well done sir!You have won a fan in me. Ken, thank you so much. I loved those books and really, really enjoyed writing them. Unfortunately I don’t write for Bantam any more, so the idea of writing more in the series for another publisher is unlikely. And with a series, if the initial books didn’t sell huge — and these didn’t — I’m not sure it’s a wise more. Maybe more novellas, though! I just picked up the island at the library but have just discovered that are books in the series before it. Can it be read as a standalone?